Women and death, particularly the role women are currently playing in the death positive movement and as death professionals made frequent headlines this year. Here is a recap of what 2015 had to offer. Fusion‘s The Death Midwife: Women Were the Original Undertakers, exhumes (see what we did there?) death care history, offering a fascinating—and very feminist—exploration of death, funerals, and burials, and their impact on culture, economics, and the environment. 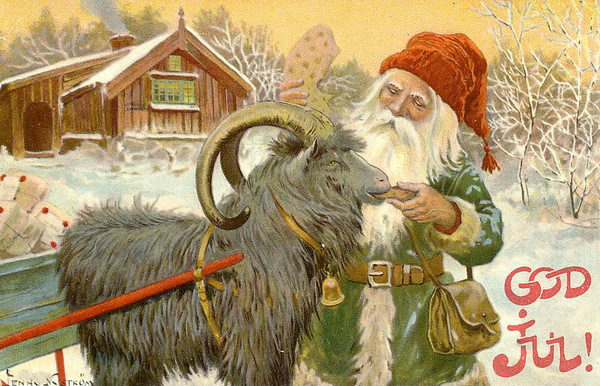 Today, one of Sweden’s most traditional Yule symbols, is that of the yule buck or yule goat, which features prominently in the tale of Jultomten. In antiquity the common animal sacrifices included horses, cattle, boar, and goats. In Sweden in particular we see goats sacrificed. Once Christianity had taken over, many laws were passed that forbade the sacrificing of animals for ‘pagan rituals’. From this void, we see the real animal, begin to be replaced by a person in a goat costume that becomes a symbolic ritual offering and slaying. 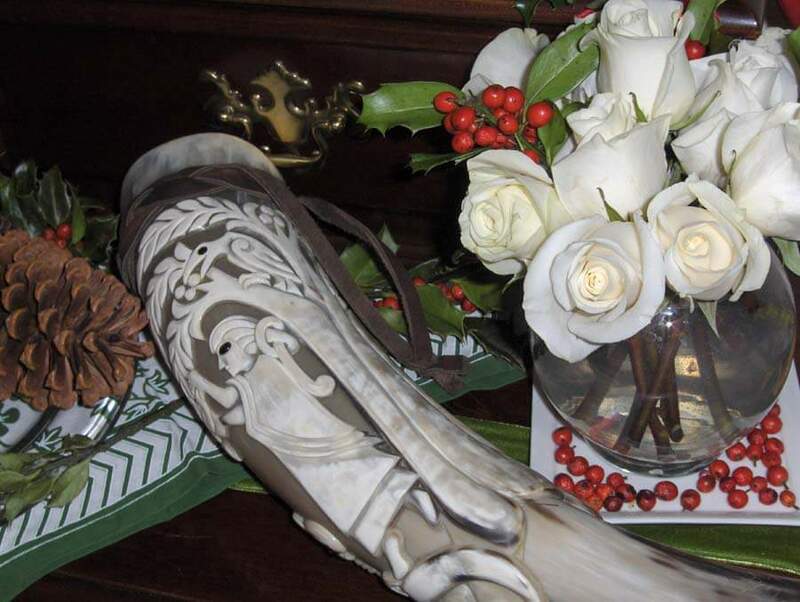 The use of costumes or masks for ritual, is not alone, as we also see it in another yuletide festival as previously mentioned with the Goddess Perchta. Absolute perfection . . .
On reading a post by River Devora, she ended with this which summarises to me my relationship with Allfather. I couldn’t say it any better or be more truthful.